His research and development of a color wheel for painters - called the “Quiller Wheel” - is now used by thousands of painters throughout the world. 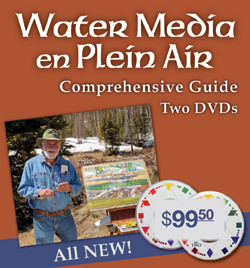 In addition, he has developed twelve instructional dvds produced by Crystal Productions, as well as two dvds produced by the Richeson Company in 2004. 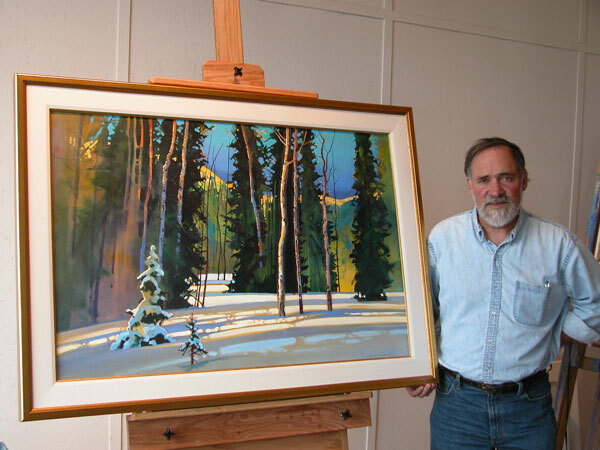 Stephen Quiller has painted in many parts of the world, but is primarily known for his work done at or near his home in the high mountainous country of southern Colorado. These subjects include beaver ponds, snow shadows, water patterns, wild iris, and mountain rhythms, capturing the spirit of the San Juans. Through his painting, he has become a Signature member of the American Watercolor Society, National Watercolor Society, Rocky Mountain National Water Media, and Society for Painters in Acrylic and Casein, among others. His work has been selected for the Gold Medal of Honor in 2014 and the Silver Medal of Honor in 2018 at the American Watercolor Society International Exhibition held at the Salmagundi Club in New York City. Stephen's paintings have been on the covers and the subject of articles in many leading art magazines. 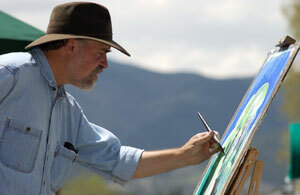 He has also been an invited juror for a number of regional and national art exhibitions. Most recently 18 of his paintings hang at the governor's offices at the capitol and will until Governor Hickenlooper leaves office. 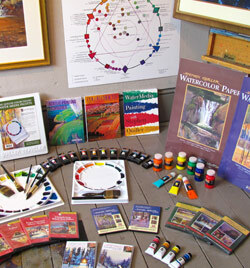 A popular workshop instructor, he teaches his approach to color, water media, composition, and on-location painting, throughout North America and internationally. Stephen shows in the Mission Gallery of Taos, New Mexico, and during the summer months he and his wife, Marta, operate their Quiller Gallery in Creede, Colorado. "The Realities of a Fine Art Career"